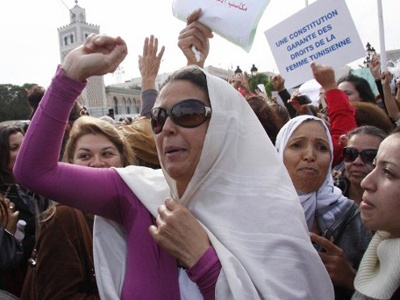 Tunisia was the epicenter for the Arab Spring that swept through the region. 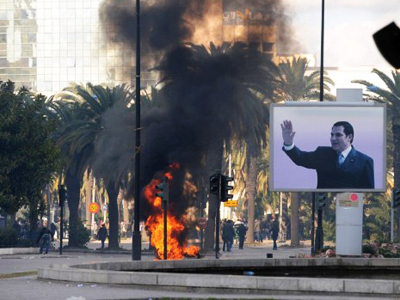 But unlike Libya, regime change was carried out by the Tunisian people themselves. Considering the Syrian crisis in that light, the Tunisian FM told RT’s Sophie Shevardnadze that foreign intervention into Syria’s internal affairs would not be welcomed. He stressed that Syrian should sort things out themselves if, of course, Damascus is ready to listen to the demands of its people. The minister further believes that as a regional power, Iran should take part in resolving the Syrian crisis. He also believes that no solution to the Syrian crisis can be found without the participation of the Russia and China. RT: Tunisia is now facing a political crisis over the extradition of the former Libyan PM to Libya. The president condemned the move as the parliament is now considering a vote of no confidence for the government. Is your government now preparing to face the consequences? Rafik Abdessalem: There is no crisis in Tunisia. 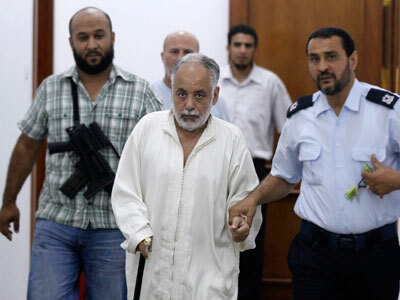 There are differences between political positions towards extradition of (ex-Libyan Primer Minister) Al-Mahmoudi. We have already agreed as a government to extradite Al-Baghdadi Al-Mahmoudi… to be subject to trial. It is very normal to extradite Al-Baghdadi Al-Mahmoudi after certain conditions. The main condition is he would be provided a just and independent trial in Libya. 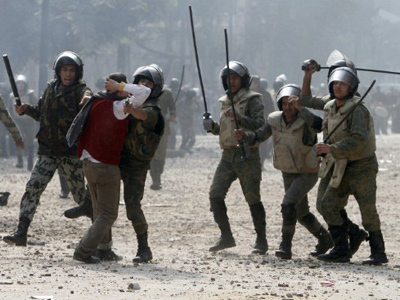 And we’re really confident that this will happen in Libya. RT: We’ve got daily reports about deadly clashes in Libya. 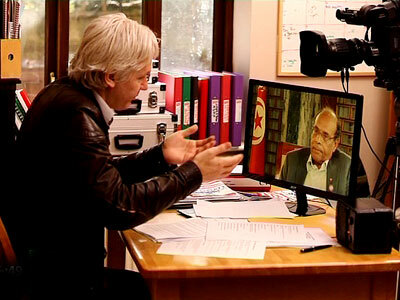 Do you really believe it is truly capable of giving a fair trial to Gaddafi’s associates? RA: We’ve already sent a commission to Libya to look at things on the ground so we’re confident that he will get a fair trial. RT: So this would exclude the option of torture? RT: Tunisia is the pioneer of the Arab Spring. But right now you still don’t have a constitution. Could you say the revolution is over? RA: No, we don’t have a constitution for a simple reason: this is one of the missions of the Constitution Assembly to draft a new constitution. We’re fixing a date and by the end of this year we will have a new constitution. I’m sure it will be a democratic constitution. To ease this movement in the right direction we’ve already had a first democratic election in the modern history of Tunisia. Then we formed a coalition government where three political parties are working together. This is positive and attractive not only for Tunisia, but for the whole region. RT: If you look at the statistics, Tunisia’s economy shrank by two per cent this year, unemployment is still high, and your president fired the head of the Central Bank last week. RA: It is not a crisis. To be more precise, the economic situation improves day by day… We’re not in a catastrophic situation. It is completely vice versa, the situation has improved. RT: Do you feel like things are better off now than they were a year and a half ago? Or do you still need time to meet people’s expectations? RA: Of course this is a revolution. And revolution by definition means to move from one situation to another. We’re in process of dismantling the foundations and pillars of the most despotic and authoritarian regime in the region and in process of setting up a new foundation of a new political system. So it is very normal that we have certain difficulties here and there but things are moving in the right direction, I’m sure. RT: How much time does Tunisia need to become completely stable and provide steady growth? RA: I think Tunisia is already stable, politically speaking. 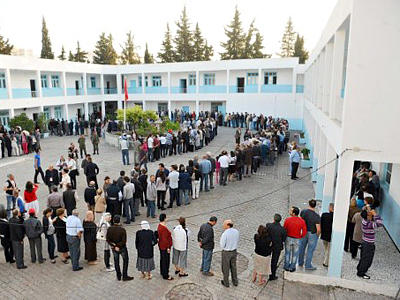 This is the first time in the modern history of Tunisia that we have a real political stability. What we had in the past was not a political stability but status quo and stagnation. Now we have political stability which is based on democracy. We need time to set up foundation of political stability. I think within one-two years, no more than that, Tunisia is coming back to normality. RT: How much could have been established without the help from the west? RA: [It’s] absolutely inverse. We knew the west was supporting the previous despotic regimes in the name of political stability. They switched it because there was a movement on the ground. The origin of this political change is not American or European. It is the will of the Tunisian and other people of the region. RT: So you’re saying that the west had nothing to do with the Arab Spring? RA: No, it is completely another story. We had a feeling of what precluded the process of political changes in the region during the last decades, the western support to despotic regimes. RT: It’s not the first time that fears have arisen over the tendency of stricter Islam in Tunisia. How much chance is there for the new Tunisian government to actually balance between secularism and moderate Islam? RA: I don’t see such a contradiction between secularism and moderate Islam since our view of Islam is an open and liberal one. Islam, like any other great religion, is an object of different interpretations and views. We have such a process of reconciliation and combination of Islam and democracy since the 19th century and the founding fathers of the Reformation within the modern Islam. RT: We’ve definitely see the rise of Islam in Northern Africa. We saw that the Arab Spring had more economic and political slogans. 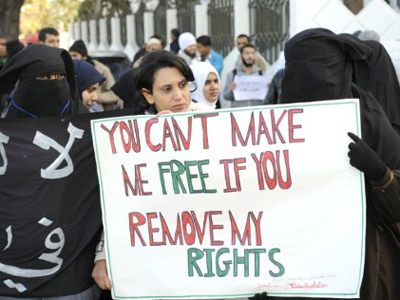 Do you think that Islamists are able to deliver those demands? RA: I think Islamists are political actors with no metaphysical features, like any other political actors: leftists, liberals, etc. They could deal with economic situations and challenges. 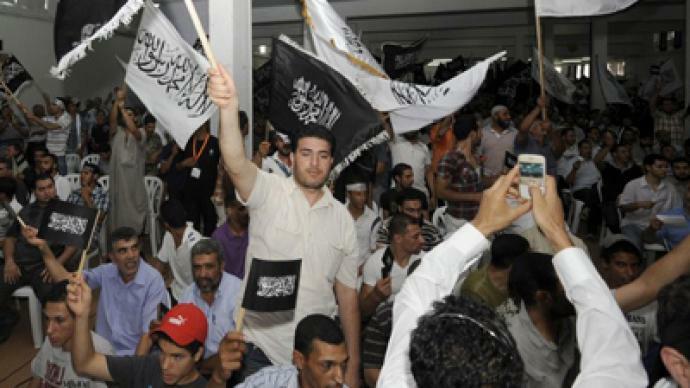 This is what we see already either in Tunisia or in Turkey and other parts of the Arab world. RT: The Brits were very enthusiastic about the Arab Spring. Now they worry about terrorist recruitments. Do you agree with that? RA: Absolutely not. I think the best solution for the regime is to have more democracy… We’ve already seen violent groups even in the west, in London and Madrid. Does this mean we should put under question British or Spanish democracy? RT: You presided at one of the Friends of Syria conferences… without Russia, China and Iran being present. Does it mean a solution to the Syrian crisis could be found with these three countries excluded? RA: We sent invitations to Russia and China but they preferred not to attend the Friends of Syria conference. We strongly believe that there is no solution without participation of the Russians and Chinese in the Syrian crisis. RA: Iran is also a regional player. And the region is keen to see Iran integrated into the region. RT: At this point the west is denying a military intervention into the Syrian crisis. Is the anti-Assad coalition out of breath and ideas? RA: We don’t like to see any foreign military intervention of the regime. We strongly believe that it is up to Syrian to sort out their crisis and problems. This is Arabic affairs and we don’t like to see any foreign intervention into the region and repeat the [toppling of] the Iraqi regime. But I hope the Syrian regime would listen to the demands of the Syrian people. The Syrian people deserve democracy and dignity – like any other people in then region. RT: What should happen to end Syrian crisis without intervention? RA: The best scenario is the Yemeni scenario, when the president hands over part of the authority to his deputy – like it happened in Yemen. But this needs cooperation from the top of the Syrian state.